An index to Chainmail; D&D (Vols. 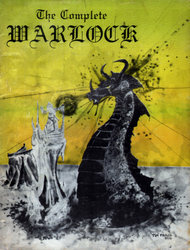 1-3); Greyhawk; Blackmoor; Eldritch Wizardry; Gods, Demi-gods & Heroes; Swords and Spells; and Strategic Review (Issues 1-7). "A Presentation of the Semi-Abandoned Dwarven Caverns in the Mountain Chain on the Island of Baylor. • 7 cavern sections showing fixtures, contents of rooms, etc. 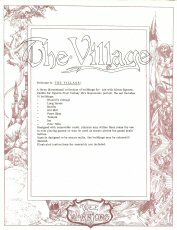 • Set of pre-factored adversaries and treasures for each section Maps may be aranged in any order wished, giving a geomorphic playing area with up to 60 variations"
"Welcome to THE VILLAGE ! Designed with removable roofs, players may utilize floor plans for use in role playing games or may be used as scenic pieces for grand scale battles. Basicly designed to be stucco walls, the buildings may be colored if desired. Illustrated instructions for assembly are included." "This book of spells is not intended to stand by itself, or replace other fantasy role playing game spell lists. Rather, it is intended to supplement the many spell lists in existence, and provide a greater variety and selection for the players. It does not offer an alternate spell system; rather, the spells should be adapted into whatever spell system you prefer. The levels given for the spells are based on our own playing experience, however, it is the privilege of the individual games masters to change the level of any spell so that it will better fit into their own universes." 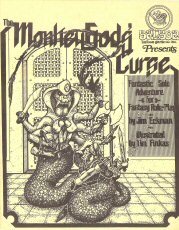 Exceedingly rare supplement by artists that worked for TSR. 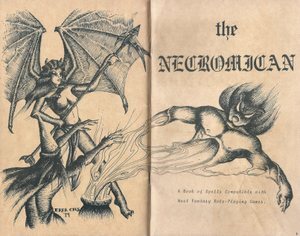 "Contained in this volume are new monsters, including demons, robots, and parasites, and new magical and technological treasures. Many of these monsters and treasures are of a more powerful nature than will be found in most fantasy role-playing campaigns. This is intentional, for we feel that this will provide a greater challenge and incentive to those more experienced players who, since fantasy role-playing has been around now for a number of years, must be acquiring higher and higher level characters. We also include less powerful monsters such as Fungus Men, Termite People, Goons, etc., and low power items such as the Doorknob of Unrestrained Entry, Vibroblade, Breathing Device, etc. In addition, we provide several charts and lists in the back of this book to aid in the playing of these monsters and treasures. Finally, these monsters and treasures are not intended to stand by themselves but rather to add to the hundreds of monsters and treasures already available." 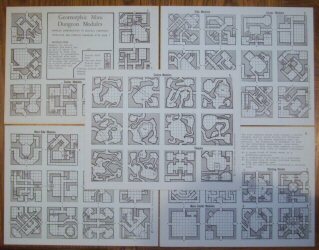 5 cardstock sheets of dungeons sections intended to be cut apart. "Enables Gamesmasters to quickly construct intricate and complex dungeons with ease." 6 cardstock sheets of illustrated magic items intended to be cut apart (except for the last sheet, which is composed of generation tables). Rare D&D accessory released by short-lived Fantasy Art Enterprises, founded by D&D alumni Erol Otus & Paul Reiche III. 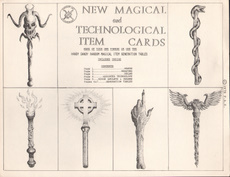 Wands; Weapons; Helms; Assorted Technology; Rings, Amulets, and Charms; Generation Tables. 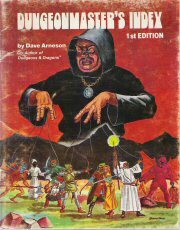 "The Book of Demons discusses the theory and practice of Black Magic as applied to fantasy gaming and contains descriptions of the more important demons. Fantasy gamers can use these elements to add new opportunities to their adventures and quests... and new hazards. Those who engage in continuing campaigns will find that Black Magic adds a whole new dimension to the magic user's profession." * WORKS WITH ANY FANTASY AND SCIENCE FICTION ROLE PLAYING GAME. * A FANTASTIC NEW JUDGE'S AID. * A MUST FOR SERIOUS ROLE PLAYING GAMERS. T.H.E. NON PLAYER CHARACTER SYSTEMS ALLOW YOUR CHARACTERS TO ACTUALLY TALK, ENCOUNTER AND BARGAIN WITH THOSE NON -PLAYERS." "* WORKS WITH ANY FANTASY AND SCIENCE FICTION ROLE PLAYING GAME. * A FANTASTIC NEW COMBAT SYSTEM. ANOTHER MODULE IN T.H.E. NON-PLAYER CHARACTER SYSTEM, ALLOWING YOUR CHARACTERS TO ACTUALLY TALK, BARGAIN, ENCOUNTER -- AND NOW -- FIGHT, WITH THOSE NON-PLAYER CHARACTERS!!" 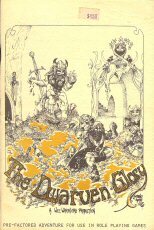 CONTENTS: Introduction; Time & Movement; Experience Tables; Saving Throws; Special Saving Throws; Special Rules For Elves, Paladins amd Fighters; Effects of Characteristics; Equipment; Size and Strength Tables; Combat System; Archery; Critical Hits; Clerics and Clerical Spells; Magic and Magic Users; Illusionists and Illusions; Thievish Abilities and Thieves; Creating Player Characters; Special Characteristics; Learning Languages; Notes on Unusual Weapons. 1979 ... Jim Eckman & Tim Finkas ... Balboa Game Co.